Four criminal law barristers have appealed to the Supreme Court in their judicial review of the Quality Assurance Scheme for Advocates (QASA) – despite a costs bill which already totals £215,000, Legal Futures can reveal. On 28 November, the Court of Appeal refused permission to appeal its comprehensive dismissal of the case, but a spokeswoman for the Supreme Court said yesterday that an application for permission to appeal had been received. “A decision on whether to grant, or refuse, permission is expected around late January or early February,” she said. The four also failed last month to get costs orders against them overturned – of £150,000 for their defeat at the High Court and £65,000 for their defeat at the Court of Appeal. Protective costs orders had capped the amounts in both cases. 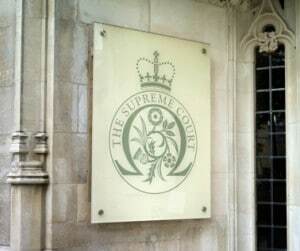 The barristers are challenging the Legal Services Board’s (LSB) approval of QASA. Giving the leading judgment in the appeal court, Master of the Rolls Lord Dyson held that the scheme was lawful and did not interfere with the independence of the advocate or the judiciary. Meanwhile, in his last report to the LSB, now former chief executive Chris Kenny revealed that the LSB had rejected an offer from the barristers to settle the appeal costs of the case at £50,000. “My accounting officer responsibilities would have prevented me from accepting such an offer, bearing in mind that the LSB costs for the appeal are closer to £100,000,” Mr Kenny said. “However, detailed cost assessment will delay actual receipt”. He described how the Criminal Bar Association (CBA), on behalf of the barristers, sought leave to appeal to the Supreme Court from the Court of Appeal on four grounds. These were that the Court of Appeal erred in law in finding that the LSB directed itself correctly on the “nature and scope of the principle of independence of the advocate” and in finding that QASA “did not present a risk to the perceived independence of the advocate”. Further, Mr Kenny said the CBA argued that appeal judges had failed to apply the correct proportionality test in the Provision of Services regulations and erred in concluding that the “lack of clarity relating to appeal rights” under QASA did not justify quashing the LSB’s decision. The Bar Standards Board (BSB), which intervened in the judicial review in both the High Court and Court of Appeal, has also suffered financially as a result of the QASA litigation. At an ex tempore costs ruling last month, Lord Dyson, Lord Justice Fulford and Lady Justice Sharp ruled that there was no need for the BSB to be separately represented at the Court of Appeal. As a result the BSB is facing a bill for over £100,000. The BSB faces a bill of £100,000. Where on earth is it going to find that sort of money? Oh, wait….